Analysts and Data Scientist within Your Means! As a market research company, Back Office Pro (BOP) offers custom research services to bring in rich insights that help better decision making when clients outsource market research projects to BOP. Working as an offsite research partner to global enterprises, BOP brings in professional resources with a practical and systematic approach to help clients make smarter business decisions. With over two decades of experience as a resource support partner, BOP has delivered hundreds of market research reports to meet crucial market research requirements. BOP helps clients in beating their competition and staying ahead in competition by making smarter decisions. Using qualitative and quantitative research techniques, BOP’s skilled team of market research analysts critically analyze required information to make it comprehensible. BOP’s skilled market analysts are adept at filtering information to gather only valid and useful insights that positively impact decision making. BOP’ team of professional market research analysts come with the following skillsets. Market Research Survey Analysis BOP’s team of research analysts, analyze the results of various market research surveys which clients have conducted to study the results and help them utilize the insights in a better manner. Brand Research BOP’s market research services for brand analysis bring invaluable data on client brands as well as competition data to enable specific brands to be positioned in a better manner. Qualitative Market Research BOP uses social science annotations to help clients assess customer reaction to various products, brands, and services. Business Market Research BOP collects and assesses qualitative as well as quantitative data that help making informed decisions. Market Research Surveys BOP’s research survey analysis support helps clients use survey data to understand the market better. Market Research Data Analysis BOP leverages its knowledge on various statistical tools to collect, analyze, examine, filter, transform, and model data that allow fact-based enterprise-level business decisions. Online Research BOP’s research analysts, offer accurate analysis of many leading trends as well as other qualitative data to offer real-time insights. 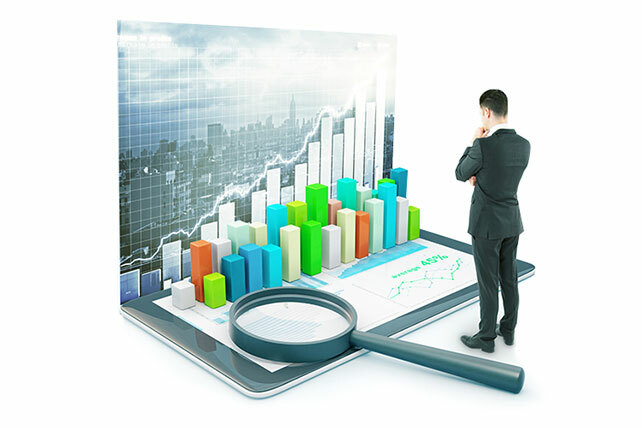 Quantitative Market Research BOP’s research analysts are adept at statistical tools and established methodologies which allows them to provide unbiased data insights. International Market Research BOP studies consumer behavior breaking geographical barriers to help clients position their products and services. Primary Market Research BOP helps you with interviews, surveys observations, as well as ethnographic studies to help you specify brand related facts to enhance them for better marketability. Skilled team of market research analysts from top institutes around the globe. Latest research techniques and tools that ensure accurate results. High-quality market research services which are both flexible and cost-effective. Tailor-made research services that fit client requirements. Top-of-the-class infrastructure with cutting-edge technologies that ensure data security and on time delivery. Global delivery centers to ensure faster turnaround time. "We have been able to achieve substantial cost and time savings on several complex projects undertaken from the great services offered by Back Office Pro. We appreciate their prompt attention to our concerns." "We are impressed with your meticulous details for assuring high-quality audit of extracted data as we have reviewed your documents carefully." As a market research firm BOP understands information collection, management, and segregation and assures a higher ROI. Contact BOP today for market research projects and utilize the power of information to ensure profitability.